Noxster is an innovative SEO company that specializes in getting each of our clients ranked onto the first page of search engines like Google, Yahoo, and Bing for industry specific keywords. Noxster has managed thousands of keywords on the first page of search engines and we won’t stop there. As our parent company, Southern California Graphics has been in business for over 40 years and has helped to establish our Women Owned Business. Over the past 6 years, our company’s owner Nadeen Toomey, has cultivated a thriving team of SEO experts, creative copywriters, and skilled internet marketers. 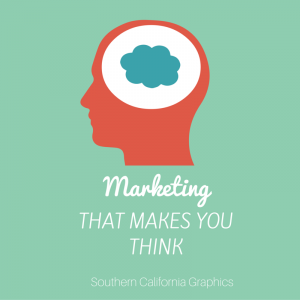 Southern California Graphics, or “SCG,” is a premier, world-leader in commercial printing services. SCG has invested in some of the top of the line technology, industry experts, as well as equipment to make sure that every single print marketing piece stands out from the rest. Their process and service is superior to any printer you can find in the Los Angeles area. They have expanded their printing services by investing in a top of the line die cutting and gluing machine to make sure that they can fulfill every part of the printing process in house. SCG is a family owned company that serves as the parent entity to our Women Owned Business. Recently, we consulted on a digital project with Oprah and we fully support the legacy that women like her have created in the world of business. Additionally, the majority of our employees at Noxster are female and we a proud to say that our team is the best at what they do. SCG offers a range of large format printing services including outdoor signage, display advertisements, and everything in between. Their digital large format printing meets the needs of an extensive and thriving market. Their whole pre press department, wide format printers, and complete finishing shop for laminating, mounting, and computer cutting are available to ensure that you get the results you’re looking for. Because we are so dedicated to making sure that you receive the best quality printing along with amazing customer service our clients are loyal and they span across the city. One of the greatest conveniences in modern consumer printing has been digital printing. Los Angeles residents rely on SCG for digital prints of family photos, invitations, craft projects, and flyers. Digital printing allows you to take your digital design or photo and convert to a physical print without time-consuming formatting steps and processes. Digital printing companies provide valuable services for marketing, advertising, and promotion of goods and services for businesses. Digital prints are fast, inexpensive, and effects means of taking your images to the next level. As a subsidiary of SCG, Noxster has been able to establish itself as a premium SEO service provider. Noxster is a family and Women Owned Business that is dedicated to creating engaging social media posts, original copywriting, onsite optimization, referral creation, PPC campaigns, and innovative website design. At Noxster, we are a team of dedicated and creative professionals that rely on data-driven results and engaging, original in-house copy to cultivate an online presence that your brand or business can be proud of. For a free analysis of your company’s website or industry specific keyword ranking please call 888-507-4944 or visit our website for more information.